A whole peck of prognosticated Pika trouble vanishes with a new study | Watts Up With That? Climate Change NOT Endangering Pika! In February 2015, I posted an essay on WUWT about why the pika, a high elevation relative of rabbits, are not endangered by climate change. I highlighted some bad science that has been deceptively used to fear monger about catastrophic global warming, falsely suggesting pika are fleeing upslope to avoid warming, and are being driven off the mountain tops into extinction by rising CO2 concentrations. Based on bad science lawyers from the Center for Biological Diversity have sued California twice and the United States once to list pika as endangered due to climate change. After that blog post I did receive a few emails from pika experts applauding my analyses. Although they requested to remain anonymous, they advised me that one of the world’s leading pika experts, Dr. Andrew Smith whose work I referenced, would soon be publishing a paper that would likewise show that the pika have not been endangered by global warming. 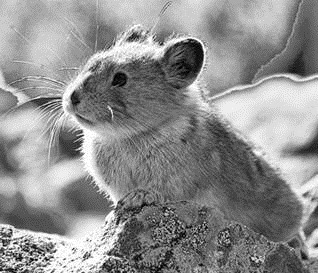 You can read Dr. Smith’s paper, Population resilience in an American pika (Ochotona princeps) metapopulation, at the Journal of Mammology. The take home message is animal populations vary over time. Short term trends and “snap shot” analyses can create very misleading conclusions. And authors who try to capitalize on those inevitable short term declines to suggest it is evidence of climate change induced catastrophes are doing a grave disservice to both conservation science and public awareness. September 4, 2015 in Bad science. I am starting to miss the climate alarmist papers, you know. Has the world of alarmism gone Polly Anna all of a sudden? Good one Alan. Now all we need is Hillary’s help and everyone will will realize CAGW is false. But we’re still doomed, aren’t we? Even if the pika aren’t? The Pika plan to take over all the ski resorts! Love to Hear about Scientists Who are Not Afraid to Tell the Truth! There goes my latest release… “Pining for Pika”! I hate when that happens! Are the pine trees in trouble too? Pine trees are suffering from bore-hole damage caused by a plague of climatologist quixotia. It’s the unforeseen consequence of Big Government fertilisation of hockey stick growth. When I used to climb the high mountains in the Rockies, it was always amusing to see and hear the Pika squeak danger calls to each other if I moved around. Sitting still on a rock, they would climb up on rocks and stand up on hind legs to observe me, the intruder. Cute little guys. The damn little robbers love pancakes too! So, serve matzos. Nothing in their right mind eats those things. They never go stale either. Or if they do, you can never tell that they are. Love matzo ball soup though! But what if they are Kosher? Then you starve. But then, the only way to eat Matzos is to put jam on them and the Pika love jam, too. Matzos are pre-staled at the factory. In the the 1960s, walking through spring snow in the Dawson range Yukon, keeping my eyes peeled for rock outcrops and grizzly bears – at the time this region was touted to have the highest concentration of grizzlies in North America – a ptarmigan exploded out of the snow at my feet and just about stopped my heart permanently. I was issued an old Lee Enfield 303 to give false comfort in grizzly territory and I had to descend a 100ft to retrieve it. They drive dogs nuts. The puppies rush from Pika to Pika who pop in and out of their holes very much like their Prairie Dog relations. Thanks for the report Jim, naturally the “nothing wrong here” report is not going to garner much coverage corrections and retractions never do. I can’t understand how Obama is being allowed to treat the erosion of a barrier island in Alaska as evidence of climate change when the townspeople themselves blame some ill advised digging for civic repairs as the cause the problem! Somehow all the brains in the bureaucracy can’t figure out how to relocate the 400 residents of the whaling village for less than a quarter a million a head! The fact that it’s a whaling village I think is especially ironic. Rabbit is damn good meat. Cut in half, an entire meaty carcass will provide enough meat for two plates. Be sure to get a meat rabbit if you want meat, a fur rabbit if you want fur (but the meat is still good), and a pet rabbit if you want a pet. I have found pet rabbits to be of little value and they can scratch the hell out of you. Plus cleaning their pen is quite a chore. Their pee is like glue on bedding material, which is normally provided for pet rabbits but not produce rabbits. I want to know what actually happened to rabbits. Here in Oklahoma 30 years ago they were very common in the country, in the last 20 or so they are a very rare sight. Maybe protected predators (can’t shoot anything that’s a problem anymore), rabbit fever? Rabbits naturally go through boom bust cycles. That combined with the protected predators, increased coyotes and increased forested/wooded areas is keeping them down. Roadrunners disappeared off the Arizona deserts along roadways and in town over the last 25 years. However, their numbers have started increasing in the last few years and I would not be surprised to find out they are making a full recovery. The disappearance could be something as simple as everybody that can afford it has their yard sprayed regularly to keep down crickets, roaches, and black widow spiders. I’m sure this has caused the lizard population to decline, also, and so the birds that eat them retreated further into the desert. On the other hand,the squirrel population has exploded in Yuma, AZ, where I live. A spay and release program conducted by our animal shelter has drastically reduced the wild cat and dog population in the neighborhoods, which would explain this, probably. Squirrels are not native to this place, but neither is the huge tree population in town that gives them support. Having watched angry birds chase them down the street I observe that they probably eat bird eggs when available and certain bird populations might decline next. My point here is that an awful lot of poorly done studies are being published simply because they put the global warming stamp on them. It seems to discourage scientists and their field worker bees from looking for obvious biological reasons why populations diminish and grow. Raising six kids of my own and two of my brother-in-law’s for a couple of years, I moved everybody out to a farm. Along with a dairy cow, about 50 sheep, a dozen pigs 300 chickens, ducks, geese and a horse for the kids, we also raised rabbits for meat for a time. No point in doing things by halves! As they say in Russian ‘Gulet tak gulet’ an idiom meant to say if you are going to party, then lets party although gulet means walk. We had about two dozen white New Zealand rabbits to start with and they multiplied like…well.. rabbits. There was a good market for them – they were thought to be excellent meat for diabetics for some reason in those days. I still have scars from constructing all-wire suspended rows of cages for them. We had plastic water lines with litttle button waterers in each cage that the critters learned to push on and the drafty barn, other than heat from the animals had no extra heating in an eastern Ontario winter. You had to have a bleed line that dripped at a sufficient rate to keep the water from freezing. The water distribution pipe for the barn was enclosed in a styrofoam box with a light bulb to heat it. Amazingly, one female rabbit could give you as much meat as a cow could give with a calf (considering that the calf had a gestation period of ~9.4 months and had to be raised for almost two years to reach market weight of 1200 – 1400 lbs). I gave this hassely part of my farming up after two years. Because the meat is on a mammal and not a bird, I think the meat is more steak-like in texture than that of chicken, and a helluva lot easier to clean. Bonus: when you wet down the fur it does not smell like…well…wet chicken. Dunking dead chickens in boiling hot water to more easily then pluck their feathers is one of the smelliest jobs around. I don’t think we need to worry about our little fury friend the pika, as they first appeared in the eocene about 50 million years ago. Sometimes I lie awake nights wondering if Gaia gave birth to humans just to protect her cute little pikas from falling asteroids. Nope. Humans were born to irritate the hell out of watermelons. I live to irritate those watermelons. If so, someone better get on the stick ’cause right now if they told us an ELE rock was on the way all we can do is take nice pictures as it heads in. Presumably prior prognostications predicting pika pining for peaks are now proven phony ? Peter Piper picked a peck of pickled pikas. Presumptively my prior point proves preposterous…. Cute and furry animals always in danger from Climate Change! Ugly and scary ones will increase exponentially due to Climate Change! Send money now! The paper does not seem to conform precisely to what Mr. Steel implies. Mr. steel begins with a statement that previous reports have “…falsely suggesting pika are fleeing upslope to avoid warming…” He implies that Dr, Smith’s most recent study belies that claim among other false claims. I suppose one could argue the technicality that “fleeing up-slope” and “failure to migrate down-slope to replace dead pikas” are two different things, but that seems a fine line of distinction to me. In any event, it is comforting to know the Northern pikas are not being exterminated by a colorless, odorless, non-toxic atmospheric trace-gas that GREEN plants just love and that, as always, “all the critters are free to move about the plane”. From my reading and some experience at second hand, small mammal populations undergo collapse quite frequently, for a variety of reasons. The wild is not a section of suburbia; life is tough out there. Which is why most wild animals live relatively short lives, compared to the same species confined to the comforts of a human residence. Jim Steele, nice post, thank you. Never underestimate the ability of wild animals to survive, sure there are a few regrettable examples of species “wiped out” on purpose, i.e. the passenger pigeon in North America. I bet that if all it took was burning coal for a decade or so to eradicate rabbits in Australia the populace would be all for it. Rabbits (a relative of the cute little Pika) are darn hard to kill off, but one of our cats has that as his life mission. I think he dreams of tasty rabbit while he sleeps. Rabbit, the fast food of the animal kingdom. drought flood extreme heat desert areas..and still here! and the sthern ones, coyotes? or wild dogs thereabouts ? Put wild rabbit on the menu in homes and restaurants across Australia and eat less beef. It quite effectively kept them under control, along with squirrel, across the southern United States when I was growing up. Stewed in a rich, herbed gravy, they are tasty. Oh, the Emu’s won the “Emu War” and they has quite a bit less “War Machines” than the humans had. It’s so good to see those poor little Pikas finally being pensioned off from the Global Alarmist/Warmist cause and allowed to live in peace. I have been a Pika “fan” for years. Nice to see some truth published concerning the little fellows. There is a lesson here. The alarmist camp will use any misinformation to further their dogma. 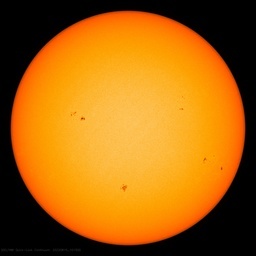 They will block any real science and try to destroy anyone who wants to put true out there to see. Look at the polar bear crap published claiming they were all dying and were going to drown. Polar bears drown from lack of ice???? Stupid. We are up against propagandists, not scientists. Hurrah! This is a good day for all euarchontoglires. Unfortunately, the title of the paper still carries the suggestion that with respect to climate the pika has something to be (newly) resilient to. I guess that’s the next hurdle to overcome.